Friday, Dec. 7; 7:30 a.m. to 9:30 p.m.
All-day tour departs Mayflower Hotel, 1127 Connecticut Ave. N.W. Three of the splendid homes known as the “charms” of Fairmount Park open their doors for a holiday-season guided tour, offering an intimate look at the lives of well-to-do Philadelphians of the Revolutionary period and the evolution of domestic architecture and interiors as the Federal era began. Bill Keene, a lecturer in history, urban studies and architecture, serves as the tour leader. Tuesday, Dec. 11; 6:45 p.m.
As a secular and educational cultural institution, the Smithsonian’s touchpoints with religion and politics are diverse and sometimes surprising. The latest in the Strange and Curious Smithsonian Jobs series explores the age-old dichotomy of church and state, as seen through the work of two Smithsonian curators. Lisa Kathleen Graddy of the National Museum of American History and Brad Braxton of the National Museum of African American History and Culture reveal how their work shapes cultural narratives. Wednesday, Dec. 12; 10 a.m. 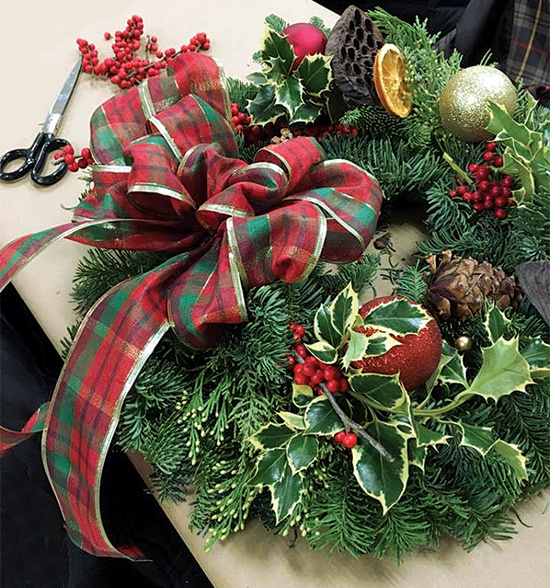 Participants will bring home the beauty of the Smithsonian’s inventive botanical holiday decorations when they create a wreath guided by a horticulturist from Smithsonian Gardens. The workshop begins at the Smithsonian Castle to view the indoor holiday decorations before taking a wintry walk through its bedecked grounds. Then participants retreat to the warmth of the Smithsonian’s S. Dillon Ripley Center to create their own one-of-a-kind seasonal accent to take home. Light holiday refreshments and all materials are provided. Sunday, Dec. 16; 2 p.m. Participants spend an afternoon with professional decorator and author Coleen Christian Burke as she covers the traditions of White House holiday decorating. She will reveal how White House decorating themes are developed, how the White House functions during the holidays as both a private home and public space and will share favorite first-family memories of Christmas in America’s most famous home.